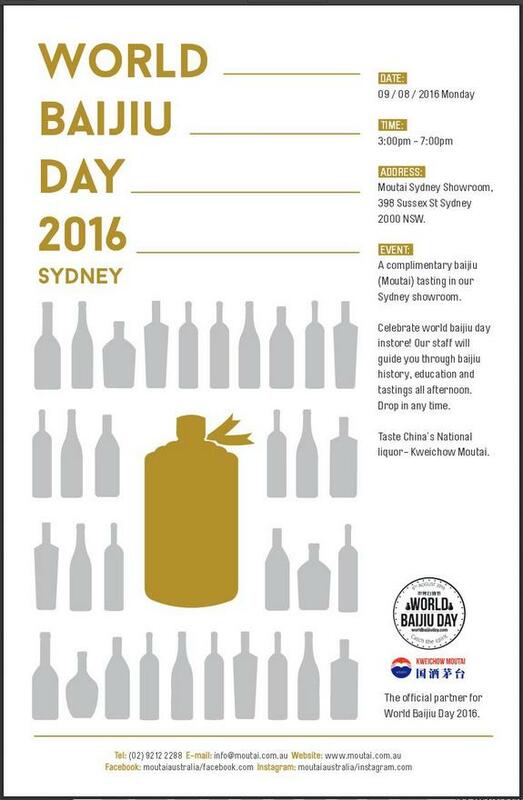 By Jim Boyce | Sydney is once again on the World Baijiu Day map as the Kweichow Moutai Showroom returns with another tasting. “We’ll have baijiu tastings in our store from 3 PM to 7 PM on August 9,” says Imogen Hayes. She adds there is free delivery on all online Moutai purchases this month. Hayes has organized several “Art of Baijiu” workshops, including this one. And she says there are plans to host a Moutai cocktail session in August. I’ll have details on that soon. The Moutai showroom is at Shop 2, 398 Sussex Street, Chinatown in Sydney. Follow World Baijiu Day on Facebook, Twitter and Instagram. Help cover site costs here. Get in touch with Jim Boyce via spirit (at) worldbaijiuday.com.